So, you’re coming home from work or the grocery store, and the garage won’t open. We think of the garage entrance as the most hassle-free into the home. If the garage won’t open, especially in the winter, it’s frustrating for everyone in the family. We want to help you figure out if this is problem manageable with a few simple steps or if it’s time to call a professional in Edmonton. Make sure your garage door is always running smoothly with our preventative maintenance checklist. 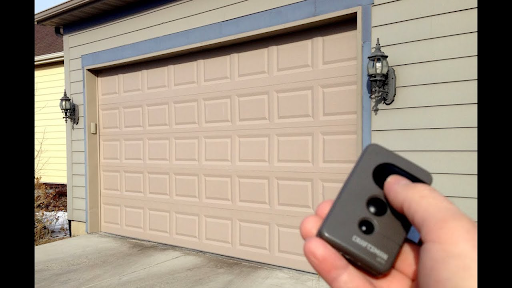 A photo-eye is a safety sensor on either side of the garage. A laser beam is sent from one end to the other, making sure there are no obstructions. If any objects, or people, are in the path of the laser beam, the garage door won’t open or close. In simple cases, it could be a gathering of dirt or debris on the sensor. Otherwise, the photo-eye may need to be readjusted. A loss in power connection is usually caused by an unplugged cord, a problem with the outlet, or a blown fuse. An unplugged cord can be easily fixed or a different outlet can be used. A blown fuse should only be handled by a professional. There can also be a loss of power connection if the batteries in the remote are dead. You can check if the garage opens from the receiver inside or the keypad. If all other devices are working, the problem is likely a dead battery in the remote. A remote can have a damaged or blocked signal even without battery problems. The antenna of the remote can be out of range, misdirected or obstructed. Check the antenna for any dirt or debris. If nothing is found after a quick inspection, the remote may need to be replaced. If the garage is functioning but it isn’t activated from the keypad, the code needs to be reset. Fortunately, this is an easy fix! The keypad can be reset from the instructions in the user manual. Are you a new client looking to repair or replace your overhead door? Request a quote. Garage remotes can be switched into lock mode by holding the button down for several seconds. 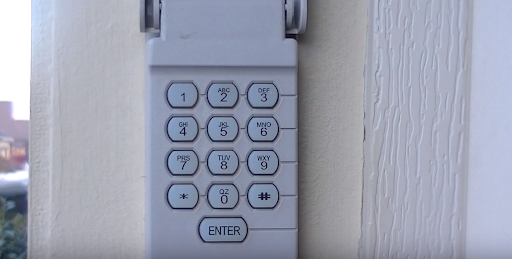 Once activated, even pressing the receiver button from the inside won’t open the garage door. However, holding the same button down for several seconds again will unlock the garage remote. Metal tracks inside the garage help keep the garage door aligned. Together, the tracks allow the door to rise and rest above the garage floor. If the tracks aren’t aligned, it can slow or stop the movement of the door. This problem can usually be assessed by a squeaking door and solved with the help of a professional. Garage springs are prone to wear and tear over time. If the motor continues to run but the garage door won’t open, the problem is likely with the springs. If the spring breaks in the middle of opening or closing the garage door, you’ll hear a loud popping sound. Springs can be dangerous and only a professional should be called to deal with the problem. Cables are aligned with each spring and can be more dangerous than a broken spring. Spring and cable mechanisms work together to raise and lower the garage door. Once there’s a problem with the spring, cables don’t last long soon after. 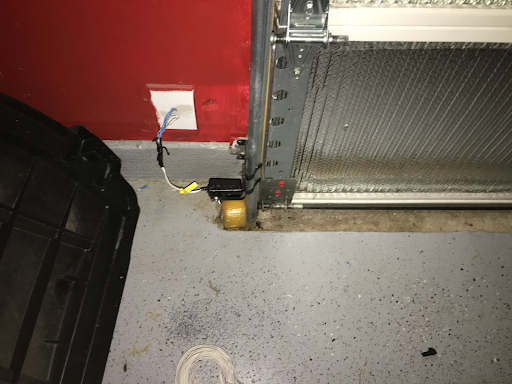 If a problem lies with the springs or cables, a professional should be called immediately and no attempts should be made to open the garage. There may not be any support to keep the door from falling. 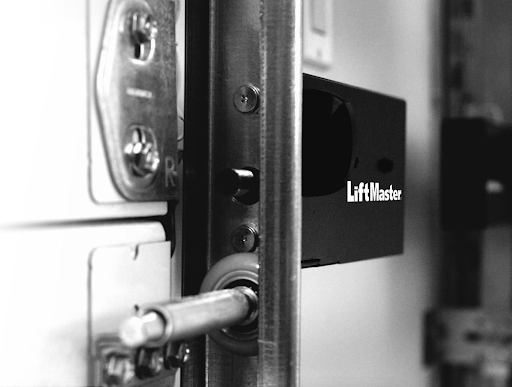 Limit settings are the mechanism that programs how much movement is needed to fully close or open the garage door. If the garage door closes and immediately opens again, the limit settings may be the problem. Limit settings are timed and different for each garage door, depending on the size and weight. If this is the case, a professional will need to inspect and adjust the settings. We know the panic and frustration when a garage door stops working, especially during the winter. If you’re unsure about where or how to assess the problem, give us a call. We’re available 24 hours for emergency repair.